Home construction per household is now at its lowest levels in nearly six decades, according to researchers at the Federal Reserve Bank of Kansas City. This isn’t just a problem in San Francisco or New York, where home prices and rents have gone sky-high. It is also a problem in midsized, fast-growing cities farther inland, like Des Moines, Iowa; Durham, N.C.; and Boise, Idaho. In Boise, an analysis by the U.S. Department of Housing and Urban Development showed there is a demand for more than 10 times the number of homes being built right now. Jennifer St. John has lived all her life in Boise. The city she was born in was a sleepy, tree-lined river town surrounded by farms and mountains. It’s hard to recognize today. The boom didn’t really get personal for St. John until last year, when she decided she was ready to buy her first house. She’s 37 and manages a learning center for kids who have autism. She’s solidly middle class and can afford a house that sells for $200,000. But the median home price in Boise right now is nearly $100,000 higher than that, putting it out of reach for St. John and for the average homebuyer in Boise. 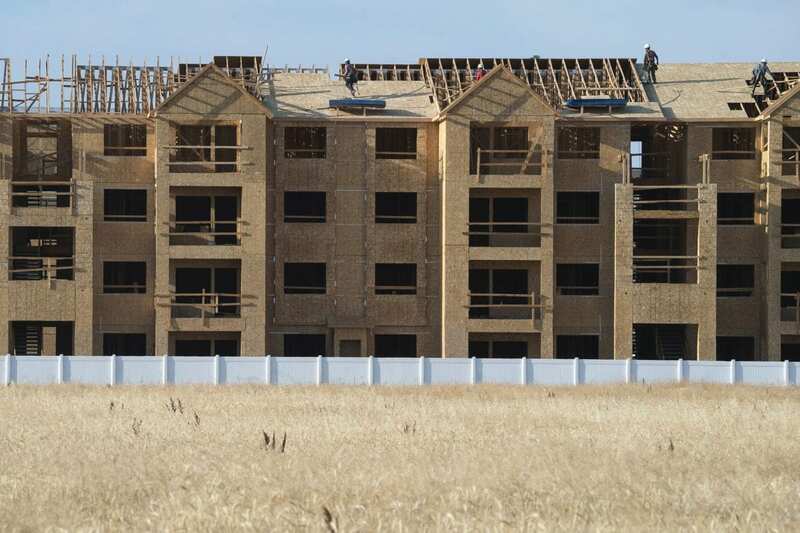 Housing experts tick through a list of reasons for the slow pace: There’s tougher zoning, there’s not enough undeveloped land, lumber is expensive … and one of the biggest problems, a labor shortage. Robert Demaray, a contractor in Boise, can attest to a lack of construction workers: “It’s been real tough to find help. Thank goodness my two sons work with me,” he said. With not enough workers, it’s taking about two to three months longer to build homes today than it would have in 2006, before the recession. Demaray said younger people aren’t going into the trades like they used to. And those workers who are here and available are hard to keep. “The guys chase dollars, you know, ‘This guy over here, he’ll give me a dollar more an hour so I’m gonna go,’ ” he said. Builders can’t finish homes fast enough to keep up with demand. All of this means prices for existing homes on the market are going only one direction — up, sometimes stranding people in their current homes even if they desperately want to move. “We thought it was pretty incredible,” said Ben. Incredible, that is, until he and his wife started looking for a new house with a bigger yard and could find nothing. Bidding wars have become the norm in many cities. “Of the two times we’ve put in an offer in the past year, we’ve been left behind by bidding wars several thousands of dollars over asking prices, often times cash offers,” says Meredith Falkenstien of Lawrence, Kan. The real crunch in supply is for so-called starter homes — a home meant to be affordable, smaller in size — perfect for that first-time homeowner. But across the nation, builders are focusing much more of their efforts on high-end construction. In Boise, for example, 65 percent of homes for sale are on the upper end of the market. Thirty years ago, half of all homes on the market were smaller and less expensive, according to this year’s State of the Nation’s Housing Report from Harvard University. In 2017, that percentage had fallen to 22 percent, or less than a quarter. In its quest for more affordable housing, Boise may look to voter-approved bonds. Boise Mayor Dave Bieter admits there’s a real housing crunch. “Our figures show we need to build about a thousand units a year in the city of Boise to keep the kind of demand we’re seeing,” he said. Boise is way behind on that goal — they’ve built about that much over the past five years. One large project that’s underway on city-owned land not far from Bieter’s office could help ease the market. But it’s not going to do much in the short term. “We feel priced out, you know. I don’t think prices are going to go down anytime soon, so it’s kind of the situation where you’ve got to make more money or live somewhere else,” said Brock Bridges, a bartender in Boise looking for a first home.